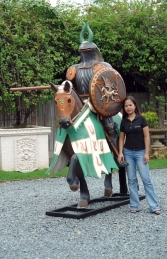 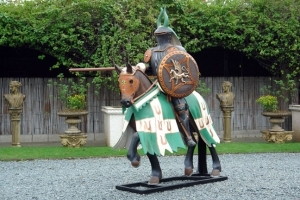 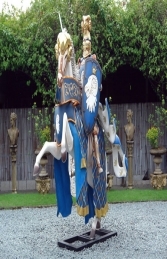 Our Green Knight riding his trusty Charger is a spectacular large centre-piece for a medieval display. This life-size combination of horse and rider model is sure to attract attention. 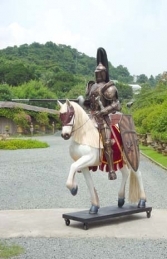 This model would make an ideal pairing with our Dragon model (JR-080081), or with our Blue Knight on Horse (JR-DY021).